Réalisés à la demande, les modèles sont présentés à titre d'exemple. 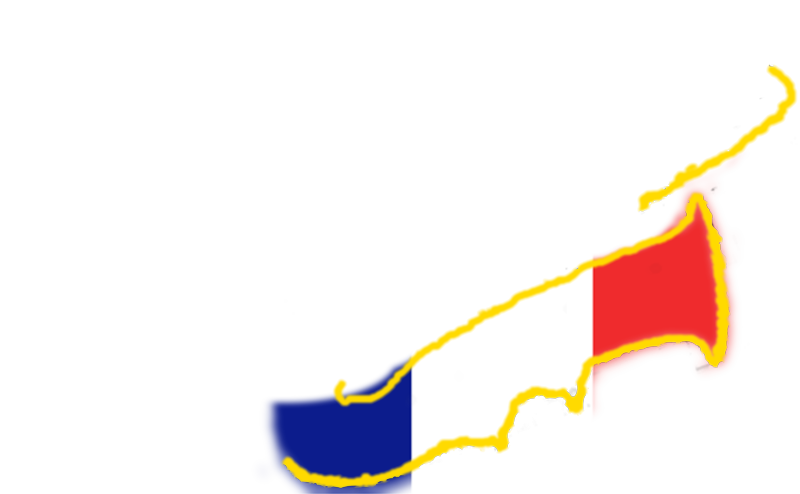 Contactez moi pour définir vos souhaits et obtenir un devis. 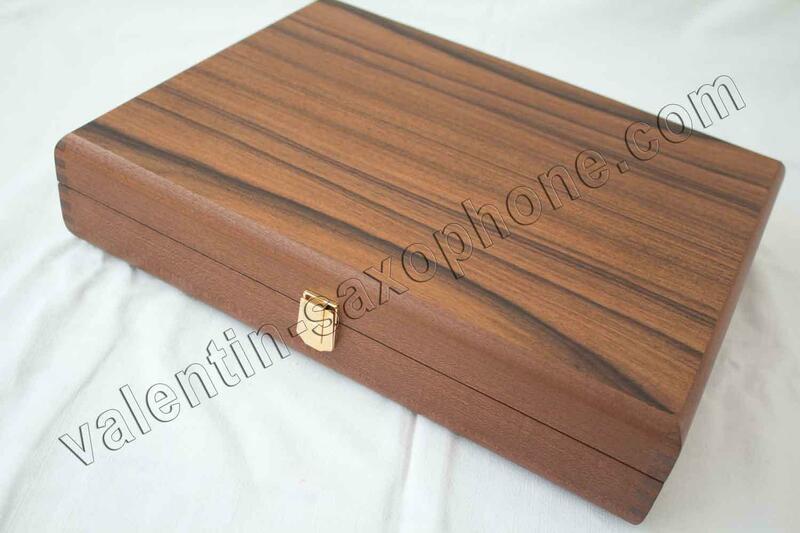 Coffret Valentin en palissandre et acajou. Stockage pour becs de sax soprano. TESTIMONY: "Only thing that I can say now is - IT'S MARVELOUS!" 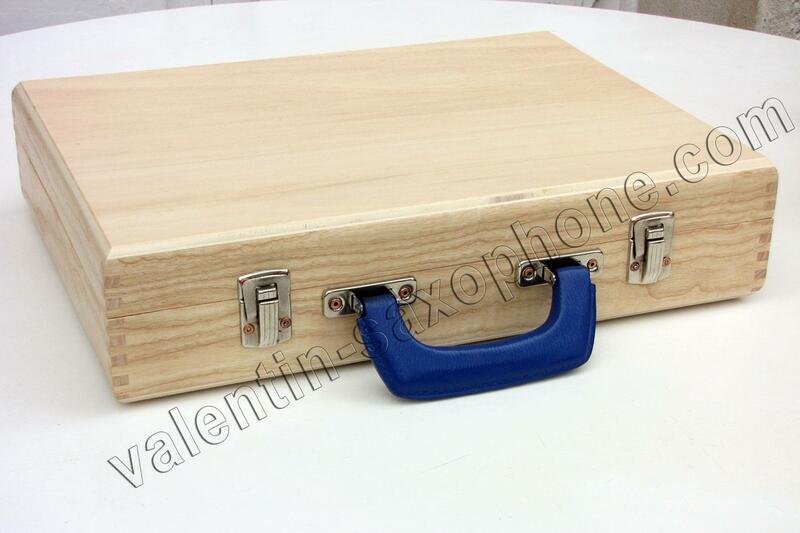 Coffret Valentin en acajou. Stockage pour becs de clarinette. 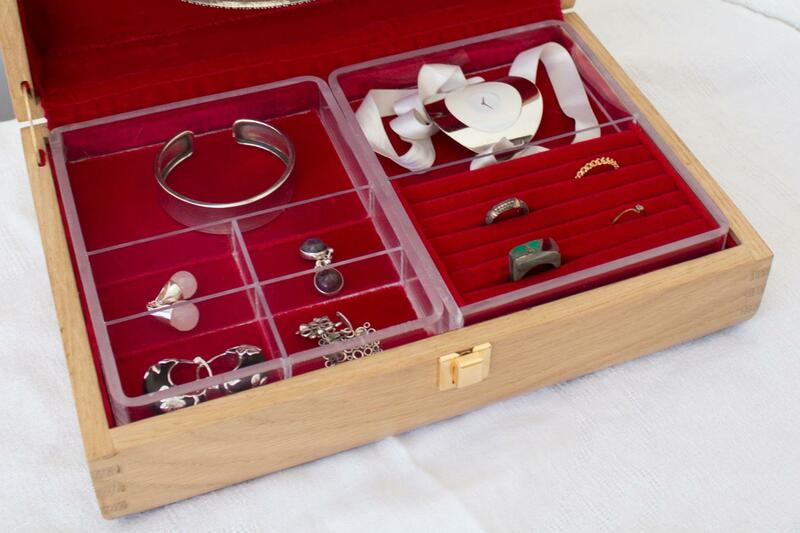 Coffret à bijoux de grand luxe. 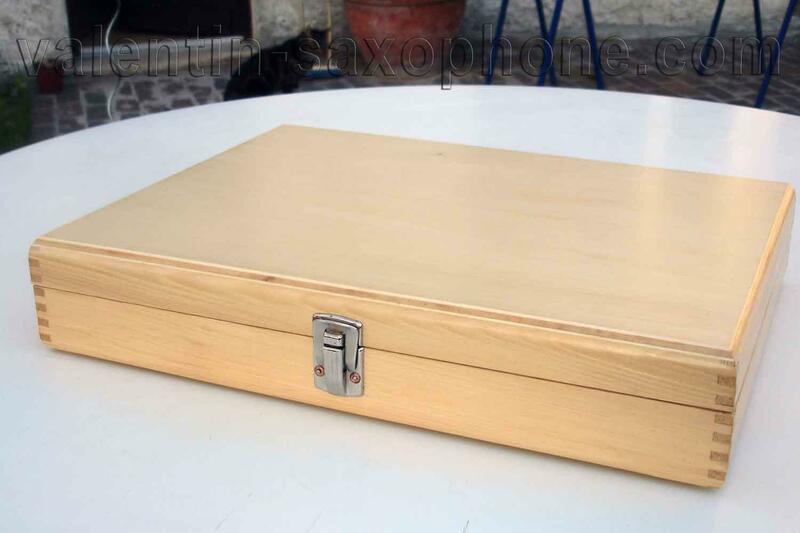 Merveilleux coffret en acajou tigré. Stockage et rangement pour becs de clarinette basse. 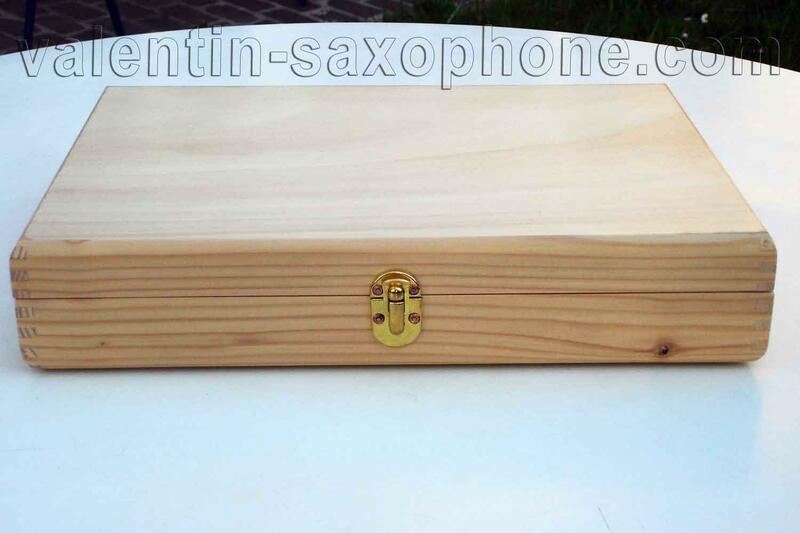 Coffret Valentin en acajou. Solution de rangement pour becs de clarinette. 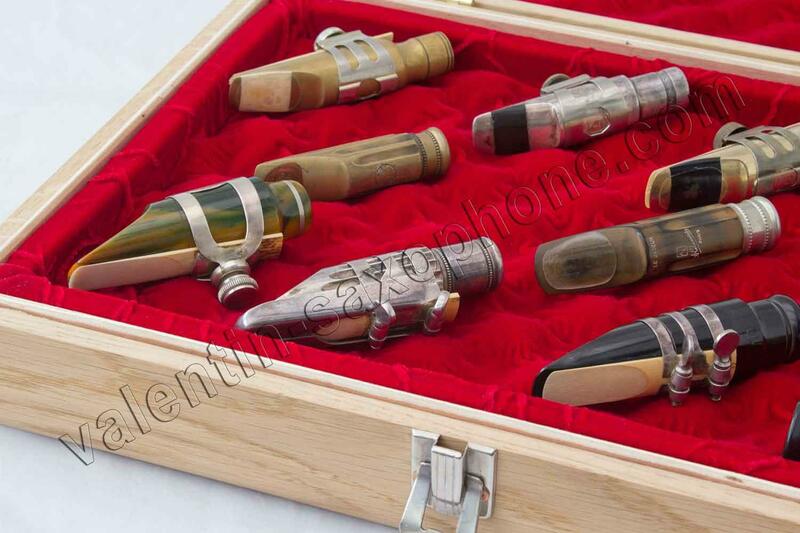 TESTIMONY: ...I recommend them to anyone who wants a special container for mouthpieces." 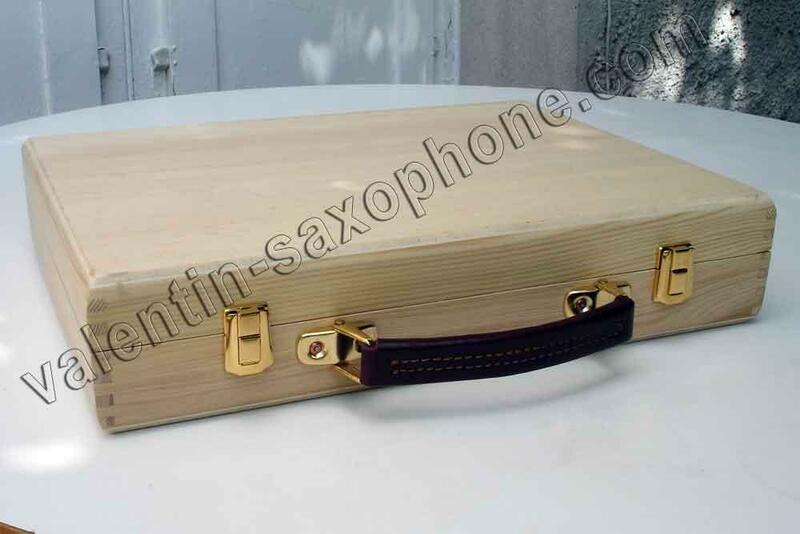 Magnifique valise en chêne pour stocker vos becs de saxophone (Selmer, Otto Link, Meyer, Dukoff, Guardala). 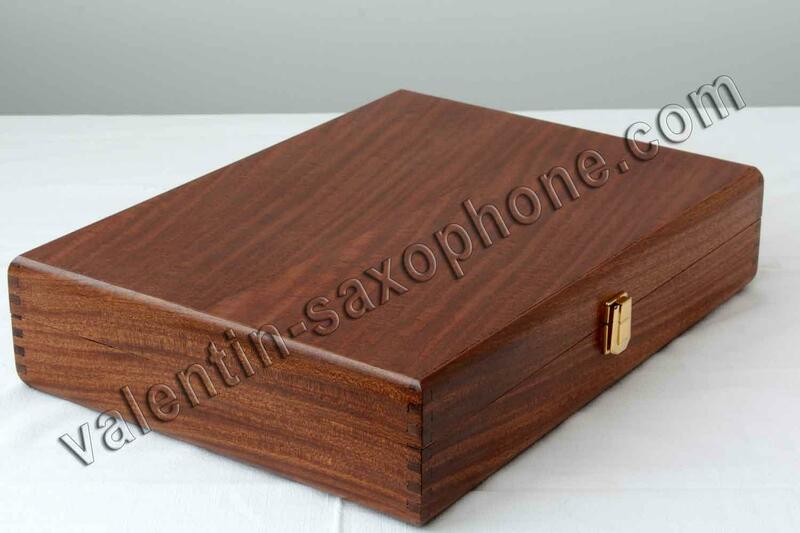 TESTIMONY: "Valentin, Thanks a lot for the box to keep my alto and tenor mouthpieces safe! 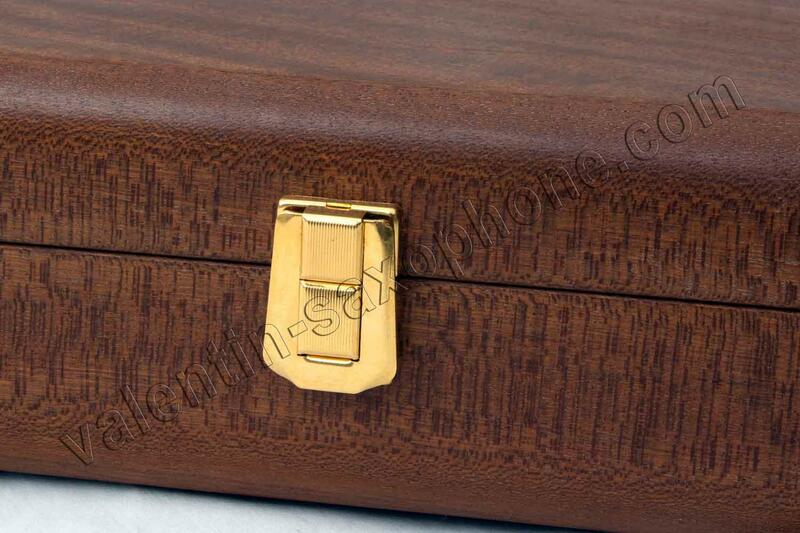 The finish of the box is really nice, great wood, very smooth, and nice interior padding. I couldn't have imagined it to be more perfect. Thanks again for a splendid piece of craftsmanship! You're an artist!! " 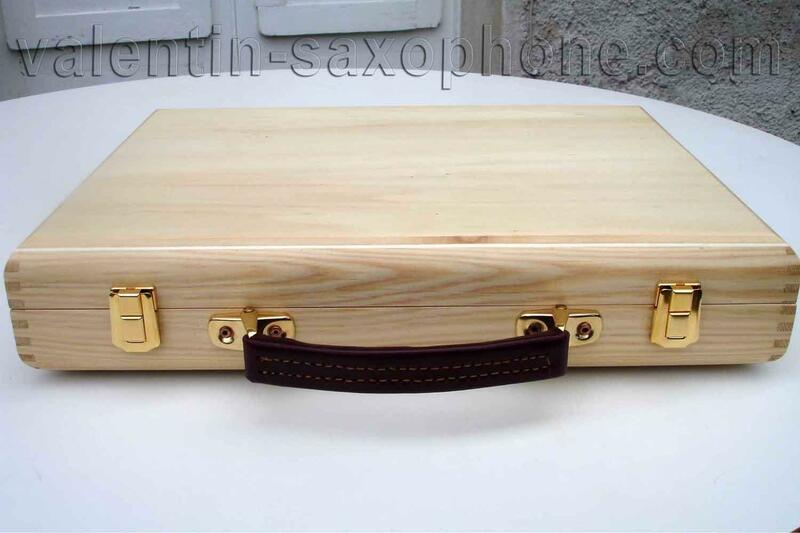 Présentoir valise en bois fabriqué sur mesure à la demande. 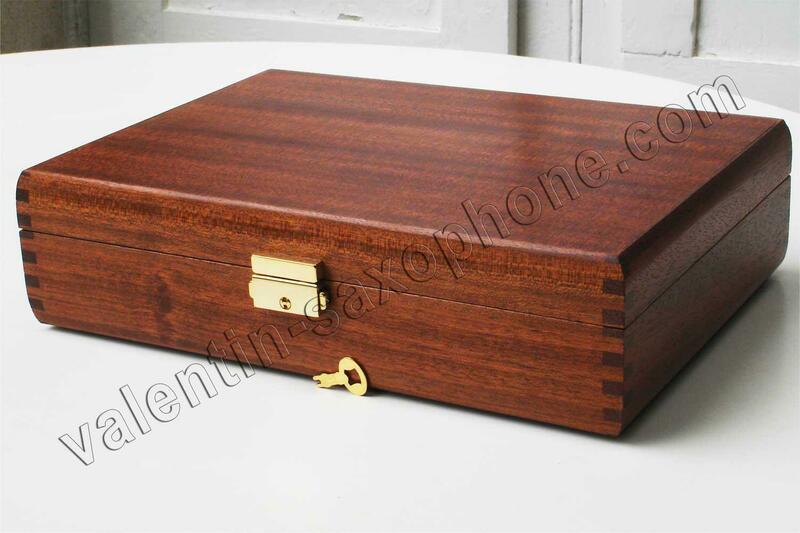 TESTIMONY: "Hi Valentin, Received the case, it's a very nice piece of craftsmanship, I am quite sure I will thoroughly enjoy." 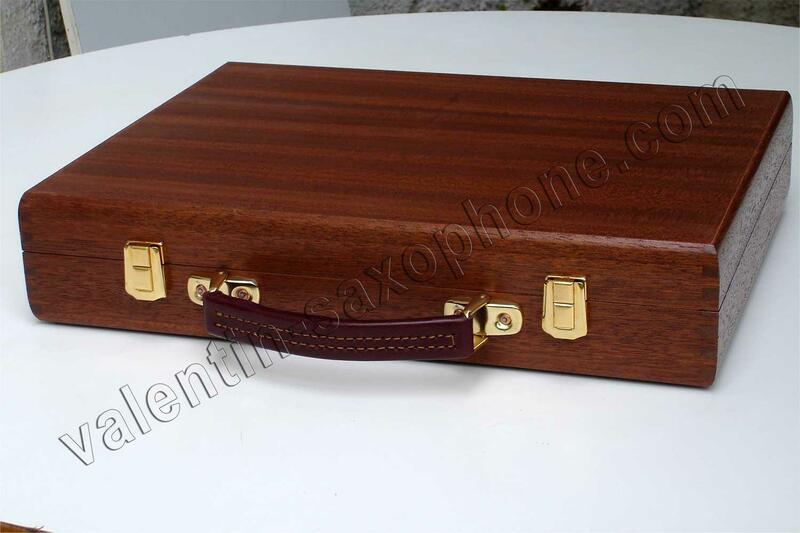 TESTIMONY: "I have been looking for a case to store my special and valuable mouthpieces for years. I finally got tired of shoeboxes and socks. 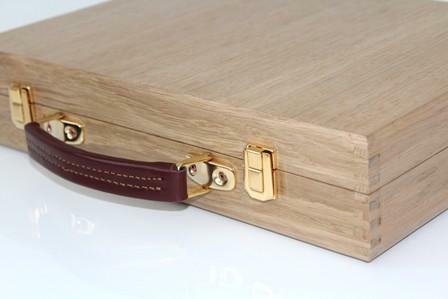 I just received two Valentin MPC cases ..."
TESTIMONY: "...and they are truly a work of art. Beautifully constructed. 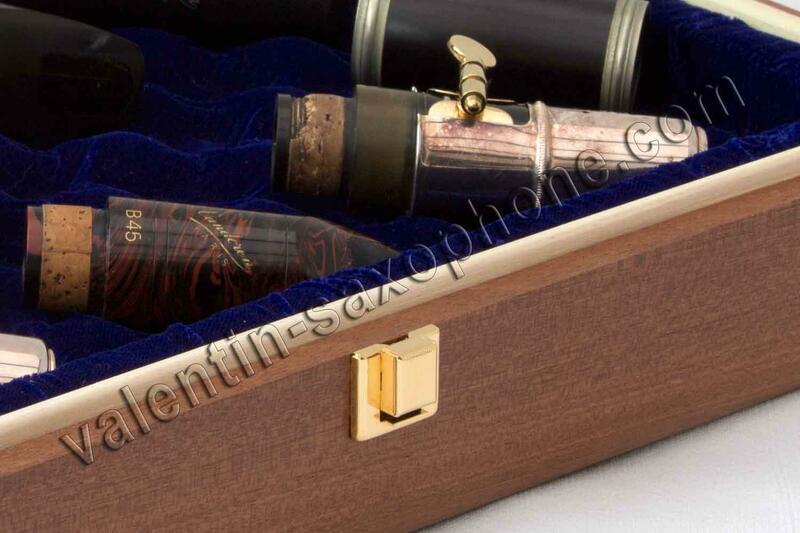 The red velvet interior gently and solidly display and protect my mouthpieces. 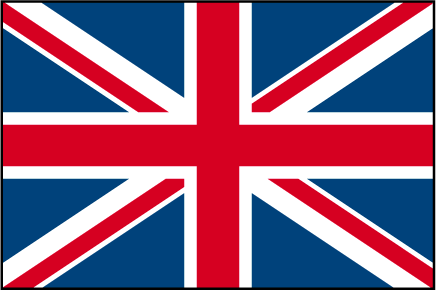 I gladly give a 5 Star recommendation to Valentin and his product." 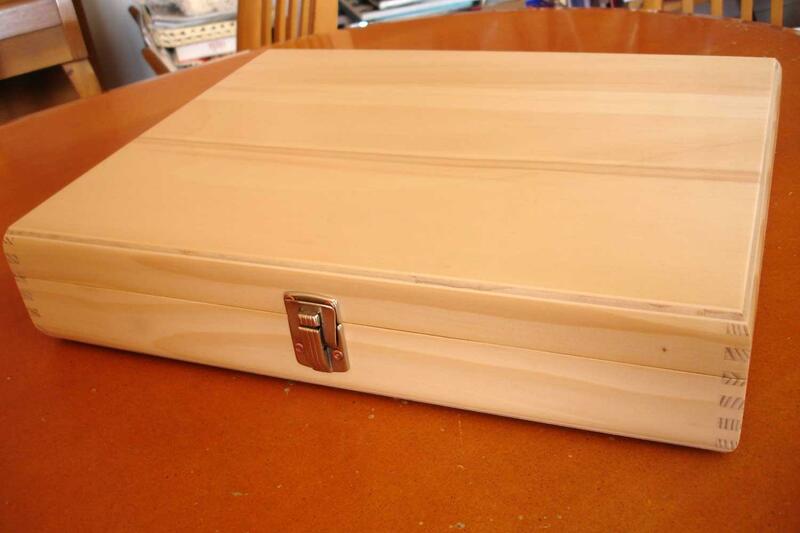 TESTIMONY: "Mon ami a trouvé le coffret superbe est très bien adapté. C`est un cadeau qu`il gardera de longues années. De mon côté vous pouvez poster mon entière satisfaction." TESTIMONY: "I have just received my Valentin MPC Case. Excellent, very well built and great looking. Not only nice but my mouthpieces will be stored safely. 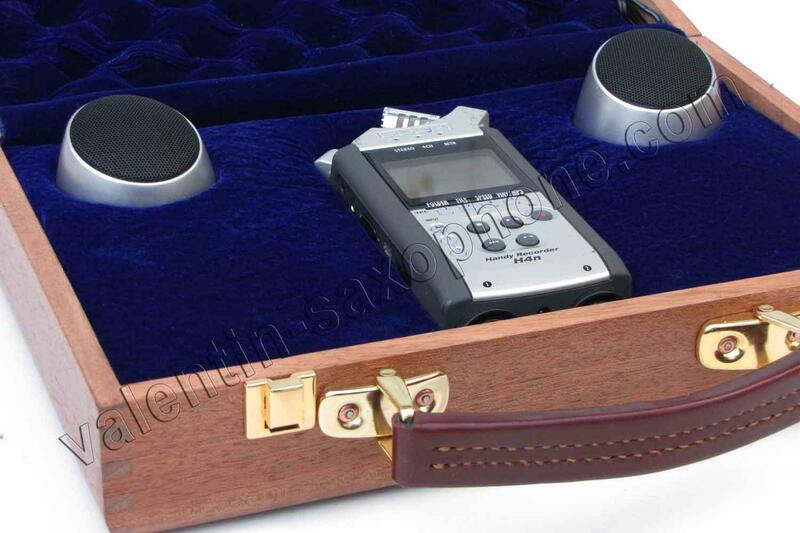 A great buy for any sax player who cares about his mouthpieces! Highly recommended!" 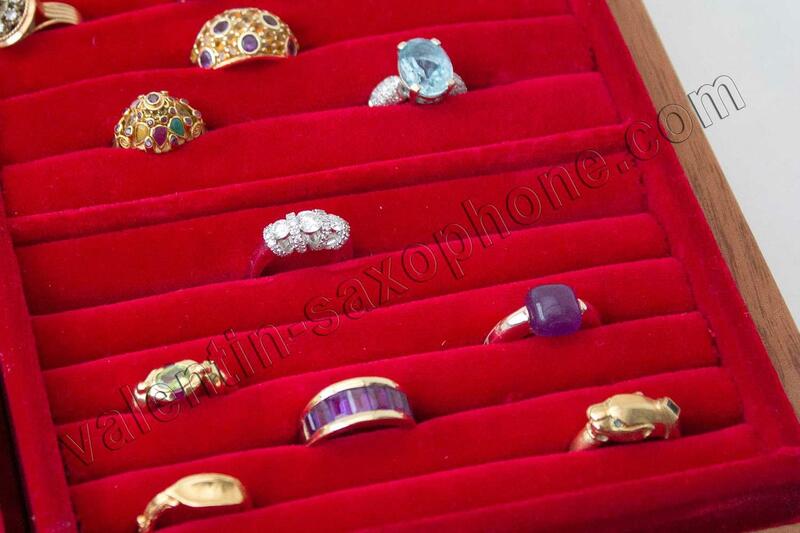 TESTIMONY: "Great materials and very fine work amazing case! thanks Valentin." TESTIMONY: "I bought the case. 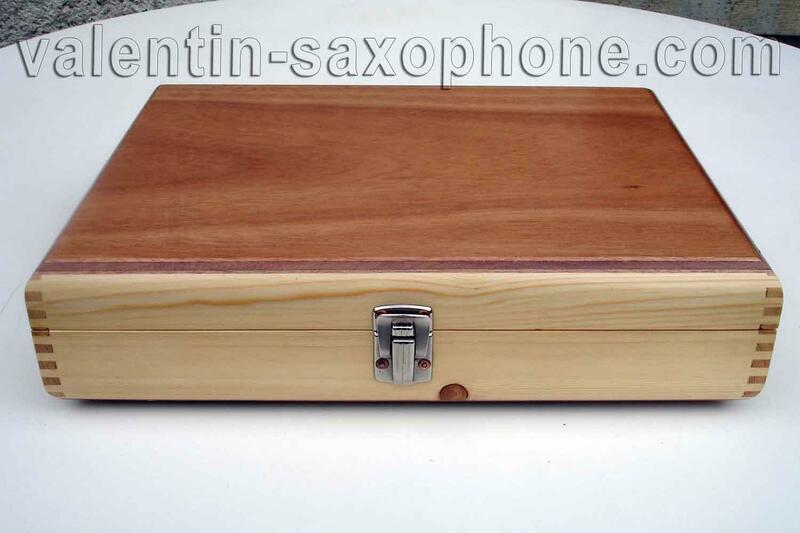 It's really nice, a very fine work, it actually fits 3 necks and 6 mouthpieces (a bit tight but once the case is closed, nothing moves in it, so the pieces and necks are very safe). I really advice Valentin's cases, if anybody is interested in a fine handmade work - a pretty rare thing in today's Made in China world.